Keep your finger on the pulse of lacrosse with Crosse Clicks, the exclusive email newsletter for Lacrosse All Stars Insiders. Free members keep up with the fastest game on two feet with Crosse Clicks, our 3-5x weekly newsletter. Insiders, our premium members, go behind-the-scenes with the Insider Scoop every week. The top trending stories in lacrosse, videos worth watching and exclusive deals. 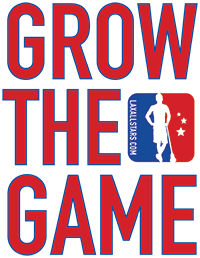 Go behind-the-scenes with Lacrosse All Stars to see what we’re working each week. A comprehensive rundown of the top 25 stories in lacrosse each month.